You might be surprised to discover that there is a closely guarded secret to those sensational results. You see, a week on The Biggest Loser TV show does not equal a week on the calendar you and I follow. In this case, there’s a big difference between ‘reality TV’ and what’s real. Former contestants have revealed that the length of time between ‘weekly’ weigh-ins can be as much as 25 days, which makes it look like people are losing weight a lot faster than they actually are. How does the show get away with something so deceptive and misleading? Simple… it is a fictional TV show and despite the fact that it fits into this new category of ‘reality’ programming, it is not at all required to present factual information. It’s not a documentary; it’s not a news broadcast; it’s not really real. the system behind the scenes. The producers, not medical experts, control how the show goes during taping, editing, and what is packaged and delivered to the networks. The producers’ job is to deliver a program that the TV networks can promote and broadcast to draw big ratings from. The TV networks job is to attract the most viewers possible to maximize the advertisers’ financial investment. That’s simply how the entertainment business works. 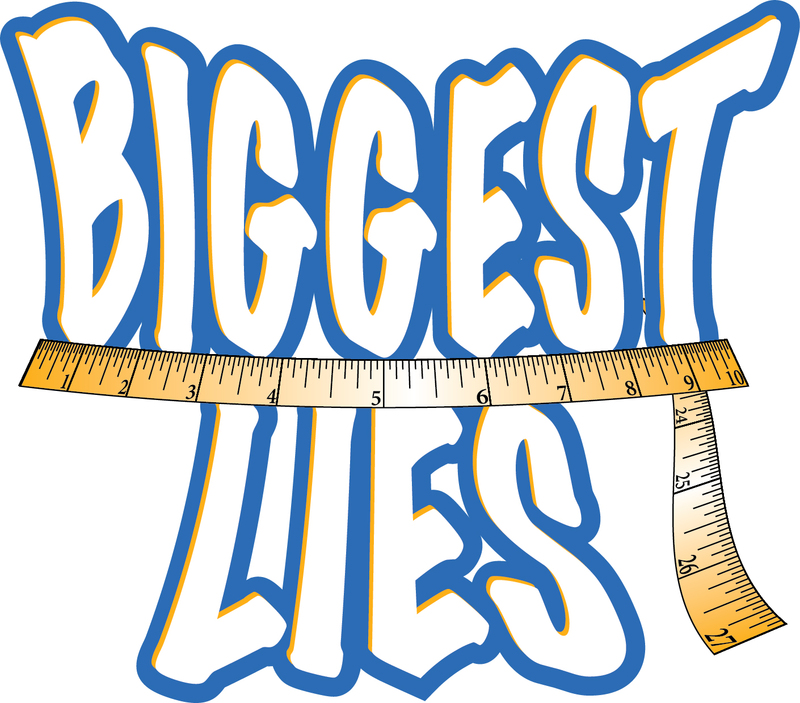 Unfortunately, millions of viewers who watch shows like The Biggest Loser are unaware that what they are seeing is at least in part, make believe. If I hadn’t worked in the industry myself (producing documentary films, videos, TV specials) I would probably take what I see on these shows at face value also. But, through my experience, and hearing from TV weight loss show contestants themselves, I know that there’s some very misleading, and even dangerous information being presented. As I see it, the unrealistic and untrue depiction of exaggerated weight-loss results on shows like The Biggest Loser is creating a big problem. These shows, which have the potential to do so much good, are ultimately doing a disservice to their viewers by misleading them. What I do like about TV shows like The Biggest Loser is that it brings attention to the incredible ability we each have to make stunning changes in our bodies and lives. This gets many viewers motivated and moving. Getting someone started is just the first step though. Keeping them going and helping them stick with a good exercise and nutrition program long enough to personally experience positive and healthy results is the biggest challenge. And the key to keeping people going strong is mostly about mindset — we have to help them stay positive and feel good about their progress and results. In the real world, burning off 2 lbs of unhealthy bodyfat a week is something you should be very proud to accomplish. But for millions of viewers of weight-loss TV shows, 2 lbs of fat loss a week seems like a failure and reinforces the false belief that far too many have, which is that they can’t be successful at transforming their health. But the fact, they CAN! Just because it doesn’t happen at the pace you see on weight-loss TV shows, doesn’t mean it’s not working for you and that you’re not on your way to an incredible transformation. At my Transformation Center in Colorado, we’ve helped dozens of people become over 100 lbs lighter in less than a year. The average weight-loss for someone who is getting great results from their exercise and healthy eating program is 8 to 12 lbs per month (not per week!). I like to see my clients reducing their overall weight by 1% to 1.25% per week until we hit a healthy goal weight. Losing weight faster than that almost certainly means that your body is sacrificing muscle mass (and also bone density). When we lose muscle, the metabolism goes down and we become less efficient at burning calories and producing energy. It takes a smart plan, followed consistently, to lose bodyfat while strengthening muscles and improving energy. It’s an unfortunate ‘reality’ that so much of what is published in magazines, broadcast on television, and written on the internet is complete and utter bullsh*t when it comes to diet, exercise, and fitness. In 25+ years as an author, teacher, and coach, I’ve seen countless fads and frauds come and go. What I’ve been able to conclude — what stands out as the fundamental facts to me — is that each of us have an incredible, God-given ability to restore our health, rebuild our bodies, and renew our lives that can’t be bought, can’t be sold, and can never be taken away. Even if you’ve neglected your health for years, even decades, that power to change your health — the power to transform your life — is still right there where it’s always been… within you. Yes, you need accurate information, scientific facts, and a knowledgeable coach, trainer, or mentor who can point you in the right direction and help you steer clear of the nonsense, pitfalls, and obstacles. And yes, reclaiming the healthy body and life that you were meant to have all along will take sacrifice, effort, and determination… but the rewards you’ll earn, no matter how long it takes, will be more than worth it! « At age 63, this Man is Transforming his Body and Life! As a 2x Transformation runner-up, B.O.T. Body~for~Life CHALLENGER, and Personal Trainer, I agree 110%. Bill makes sense, even today, amongst all the DANGEROUS Fitness gimmicks and approaches. “GOOD THINGS COME TO THOSE WHO…WORKOUT” – J.F.G. Thank you for sharing this. Although I do find some elements of Biggest Loser to be inspiring, by and large, I won’t watch the show. In addition to the things you mentioned, I find it very disturbing that there is so much backstabbing that takes place. I can only assume that this too is “staged” in order to arouse interest and increase ratings. I did watch the Season Finale this last time and noticed that the girl who won seemed to be disturbingly thin and even the coaches look worried. Ali Vincent who now does a show on the Live Well Network, candidly acknowledged that she has regained about half of the weight she lost on Biggest Loser and how difficult it is. The perspective she shares now is much more realistic. Thanks for the “reality check”, Bill! Good to read your reply and exposing of the myths being perpetrated by this show. Have you thought of doing a show Bill? Since your approach is more “the real thing”, it can be the “REAL REALITY FITNESS SHOW”!! While you are at it, why not build a team of those who have transformed and have those “Transformation Ambassadors” promoting across the country, the world for that matter? Thanks for all you and Maria do!! Love, love what you wrote regarding the Biggest Loser article. I changed my life and transformed in 2008 and ultimately became a NASM trainer and corrective exercise specialist. However, I train my clients with the body for life training methods everyday, and use my CPT & CES training to enhance what you taught me. You will always be my hero because I wouldn’t be healthy and fit today if I hadn’t been blessed with you sharing your knowledge and passion. I hope I will continue to share and help others just as you shared with so many of us. Still need your Back on Track to clean up a few things I let slip but the great thing is I can. Speaking the truth. Love it. The interesting thing about the Biggest Loser is those who leave the show early and lose weight are usually the ones who keep it off. I have always thought that it wasn’t such a bad thing to get booted. That is one woman’s assessment. I have watched all of the episodes and I didn’t know why they lost weight so fast. now I do. Bill thank you , it takes integrity to expose the lies that are implemented as truth ! What’s so amazing about YOU Bill, is the fact that your plan continues to work and change life’s . What you have taught us to keep implementing in our lives, when applied simply works! The body of life challenge has balance, not extreme craziness as the big losers projected! This is great because you are exposing the truth to bring a clear understanding to what’s really going on . For our benefit! I occasionally watch it and constantly arm thinking if only they could apply ” Body Of Life Challenge” and change for good not just for a time. Common sense would would tell the truth that there was no way that program could be true there’s no way a person could lose that much weight and do all that in such a short period time and not have health problem! Thank you Bill for in many ways you speak into our life to bring success, structure and balance for everyday lives through your blogs, The emails, on Facebook and of course your wonderful books To keep us on or back on track! Thanks for showing this big lie to me. I also tried to workout that hard to achieve results are they were getting and the conclusion i got before is that they are expert and they really know how to take those weight out that fast.